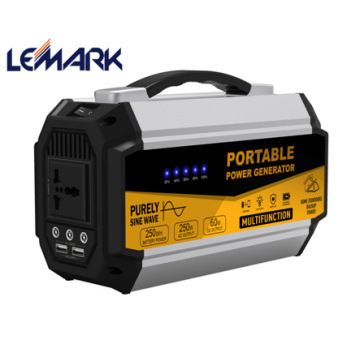 Product Features: This unit is used for power cut, outside electronics work, night market power supply, emergency rescue backup, medical power supply, home power storage and so on. 1 、 Built in high power lithium battery. 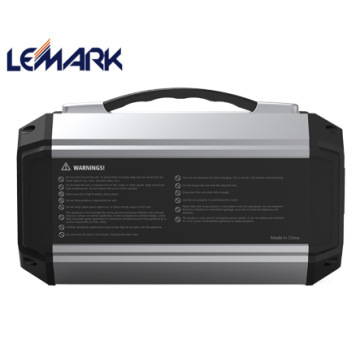 2、 Capacity is up to 250Wh. 3、 Modified wave output. 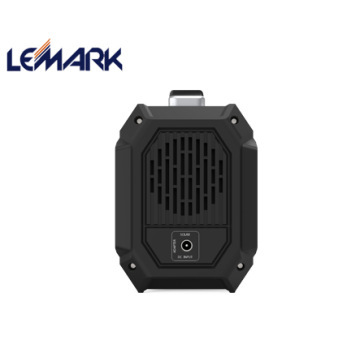 4、 250W continuous AC output, 350W peak AC output. 5、 3 DC output fpr LED light, Car electronics, CPAP, precise instrument and so on. 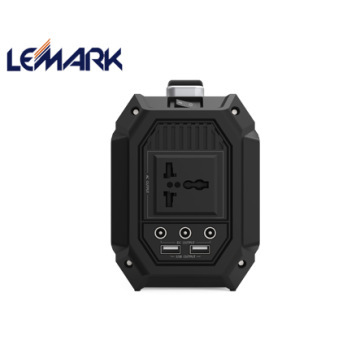 6、 Dual USB output for mobile phones, laptops, Camera and other digital products. 7、 Multiple protection: short circuit protection, over load protection, over temperature protection and so on. 8、 Smart silent cooling. 9、 ABS+PC material, fireproofing. 10、With modern handle, simple and porable design. ※ There may be some differences on different spare parts. Please adhere to the actual product instead. normal alternating current, for long-term use. outlet will be turned on, and LED displays the current product remaining. ※ When charging, 5 LEDs will be on for a second, then starting rolling. ※ AC will stop when all 5 LEDs run off.